Banker Lopez Gassler has been recommended in the 2009 edition of The Legal 500 United States in the practice area of Litigation, which encompasses Product liability and mass tort defense and aerospace/aviation. 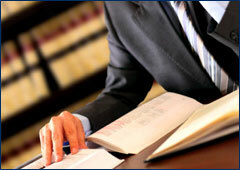 The Legal 500 provides global recommendations across more than 100 countries. The findings of the 2009 edition of The Legal 500 United States are now available for free on-line and in print. You can view the independent editorial commentary on Banker Lopez Gassler at http://www.legal500.com/firms/.